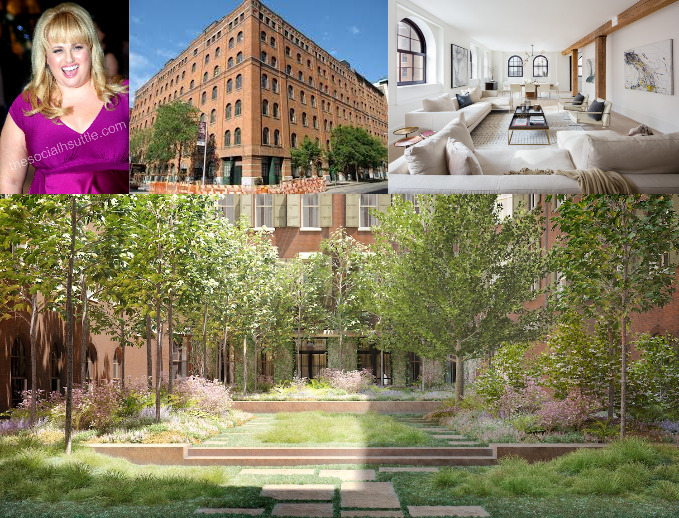 Celebrating her libel win against Bauer Media, actress Rebel Wilson has shelled out nearly $3M for a New York pad described by agents as "paparazzi proof". In an old converted book bindery in the trendy Tribeca area (it was a slum when Whispers lived there for 5 months in 1982) the luxury loft-style apartments have some starry residents with Harry Styles, Jennifer Lawrence and Blake Lively also purchasing in the same building. A large private garden means Rebel can sun bathe in private and an underground garage means she can slip in and out in a limo with darkened windows. The asking price was $4M and the apartment had been on the market for 2 years so Wilson got an excellent discount which means, if she collects the $7M she reckons she deserves in libel damages from Bauer, she'll have plenty of cash left over.